Coursework > Week 3: Vitalia > What did Cathy Hoffman do? To get ready for this, I hope that you’ve reviewed the video where we showed the framework for analyzing whether an entrepreneurial health care venture is going to succeed or not, what kind of venture it is, and the elements of the business model that can tell you whether this particular formulation’s going to succeed or not. So we are now going to do a case study of Vitalia, so Vitalia is a fascinating company set in Spain, was started by a woman in her 30s. She’s an occupational therapist. Some guy comes along, and he’s a lot older than Kathy, a very experienced health care entrepreneur. You own the centers, and I’ll give you 3 million euros, and in exchange for that, I want some piece of your company. Or should she take the 3 million euros, and start owning these facilities? What do you think? So that’s kind of a hard problem, and it’s a standard entrepreneurial business problem. How do I finance my company’s growth? So our framework will enable us to answer the question systematically, and the first thing we’re going to do is we’re going to look at the six factors that affect entrepreneurial health care ventures. We’re not going to look at them as an idle exercise. We’re going to look at them and say, how do these six factors influence our decision about whether we should franchise or we should own? So here are the six factors. What is the health care system like in Spain, and how friendly or unfriendly is it to this new venture? The other one, always a biggie, is financing. The fourth factor that we’re going to look at is public policy. Does she have enough evidence to convince you that she’s actually doing it? I want you, as a group, to think about these six factors, and I don’t want you to think about them idly. REGINA E. HERZLINGER: I hope you’ve met as a group and you’ve discussed how the six factors in the Spanish health care environment affect the decision of whether to franchise or to take the 3 million euros and to own these centers. There are some parts of Spain where there are independent- they call them autonomous regions- that are wealthy enough- they have sufficient per capita income- to be able to afford this. So if you look at the exhibit in the case where we have these autonomous regions and their per capita income, some of them have per capita income of greater than 30,000 euros. Very few of them- and this innovation costs how much? It costs 11,000 euros per year. So Spain had a boom, but they invested most of their GDP in construction. That house of cards came tumbling down, and Spain is suffering from a deep economic recession. She’s decided, Cathy, not to accept the Spanish equivalent of Medicaid. Well, Kathy [INAUDIBLE]- she’s a very smart woman. She’s got the equivalent of what’s called an electronic medical record, so she knows everything about her patients. That’s tremendously valuable information, because these people, although they’re not very sick, do have cognitive disorders. What does it do for their state of health? Kathy will show you in a separate video some examples of really remarkable progressions that she’s been able to do, but we don’t have systematic evaluations of the efficacy of the center in maintaining or improving the state of health. Five of the six factors are with her, but a very important one- financing- is not. So the Spanish economy is, sadly, in very bad shape. Although she’s not terribly expensive, her costs are such that most of the autonomous regions in Spain cannot afford to pay for her services. There are only a few regions that can really afford me. So do I franchise, or do I own and operate? I’m tilting this way. There are only a few possibilities, and I just can’t make much of a market out of franchising. I’m leaning toward owning these centers myself and accepting something I may not like, which is somebody else having a big say in my business. The reason I’m doing that is the franchising strategy doesn’t appear that viable because of the economic circumstances in Spain and the price of this center. Do I franchise or do I own and operate? See you in a while. SPEAKER 1: So hello again, how did your analysis of the business model affect your decision of whether she should franchise or she should take the 3 million euros, lose some control, and upgrade her centers? So the first kind of question in the business model is do you believe these data. So do you really trust these data? We’ll go to that in a second. So what kind of venture is this? It’s consumer facing. Next kind of business model issue is what’s your competitive strategy. So how is she going to survive? So there are a lot of competitive strategies, and we’ll review the portfolio of competitive strategies throughout this course. First mover means you’re the first in that space. What space are you first in- location, location, location. If she gets the best locations, she will have sustainable competitive advantage. What kind of location does she want? Clearly, she wants medium to upper income locations with people who can afford to pay for this, with a high density of elderly people. So how do I answer that question? The exhibits show a torrent of money just flowing into every franchisee. So a key to that question is how much market share do you need to be this profitable? If you need 80% of the market, forget about it. According to the data in the case- you got to look at these data- they’re making a ton of money. Twenty-four thousand euros is- well, it’s money. If Cathy has got the great locations, she uses her first mover advantage and picks great locations. Are the costs sustainable? She seems to be paying good wages. Is the management sustainable? Well when you look at the video, and you see Cathy and how passionate she is about what she’s doing, for sure that management is sustainable. I wouldn’t mind seeing a few gray hairs around there- well, that’s just me- who have been around the block and who have seen the rise and fall of a couple of entrepreneurial ventures. We don’t have to invest that much money and wait for the customers to show up. Or you invest not that much money and then wait for the customers to show up. So the last item on our business model checklist is- is this good for society? So even though it’s the last item, it’s the most important item. So we’ve gone through many of the items in the business model checklist- the ones that I consider most important. If you look at Kathy’s financial statements, she’s not making a lot of money. Most of her money comes from franchising, from new franchises that she’s going to sell. So if you believe these financial statements, clearly, the choice of whether to franchise or to own is what? What is it? So spell it out. What is it? The choice is to own them, because they’re so much more profitable than franchising them. Is the franchise really that profitable? So let’s look at the exhibit that shows the profitability of the franchise. So the revenues in Year 1 are almost double by Year 2. By Year 10, the revenues, if it’s roughly $11,000 per year per patient, it is accounting for over 90 patients. So how is that going to work? Here’s my concern. The revenues are shooting up in a way that I wonder whether it’s really feasible. Can it go this rapidly? In other words, is this slope too high? And secondly, has she got too many patients- more patients than she can possibly hold? Then look at the expense line. The revenues are growing much, much faster than the expenses. What does that mean? In real terms, it means if you’re working in this place, you’re going to have to work harder and harder and harder to get the revenues generated. So I’m going to cut the revenues down a little. I’m going to increase- put some hair extension- into the expenses. Still, net net, it’s much more profitable to be a franchisee than to be a franchisor. You don’t have much potential to franchise in Spain. When we did the six factors, we concluded that the potential for franchising in Spain was limited, even though there was great need for this. It led us to tilt toward owning the facilities rather than franchising them. The business model analysis just reinforced all of that, that we should really own them. So what did Kathy decide? You’ll have to see her video and see what it is that she decided. CATHY HOFFMANN: In 2004 when I proved my Hoffmann Methodology, it was really a different kind of treatment for the elderly. I had to prove it with a lot of clinical trials, working with a lot of hospitals and doctors. When I proved it, all the professionals wanted to be trained by my methodology, and families realized that we were making a difference because their parents were getting better. Doctors were really surprised because their patients were getting better, and they didn’t know how. When I proved my model- when Vitalia became something different and the Hoffmann Method has the recognition because the scientific work is five years of exams that I have to pass and prove that worldwide and working in a different way with the elderly- in that moment is when an investor came in and he told me he was going to give me three million euros to create lots of day cares, lots of things all over Spain. I want to prove that my methodology can be a all over Spain and all over the world. For me, it was really important because my franchises were like my partners, and my day cares were like my own day cares. I wanted to prove first of all that the Hoffmann Methodology can be trained all over Spain, that with the technological platform we can have the data of all the treatments, all the day daily controlled, and that methodology is not only Catherine Hoffmann. The Hoffmann Method is constantly innovating, investigating, and creating the front lines. Today, we’re going to use our six forces framework to analyze several alternate strategies for a fascinating young company called Phreesia. So I think Phreesia’s a particularly interesting company, because when you hear about their product, it sounds so blindingly simple that it’s actually hard to believe they built a company around such a simple product. I think they’ve built a fabulously successful company around it. So what they do is they develop and market a tablet called a Phreesia pad. And the whole idea of the PhreesiaPad is that when patients show up for a doctor’s appointment, they use this pad to check in. In addition to just collecting data, patients can make their co-payments on the pad. They can also get content, personalized and customized to them, delivered on the pad. So imagine that you’re checking in for your annual physical and you’ve entered your height and weight data. Phreesia has built a business deploying these pads in small private practices, typically on the order of fewer than five physicians. They tend to fill that gap between your primary care physician and emergency treatment. So the question is should Phreesia go after this urgent care center business and try to get pads into the urgent care centers. So now how would we use this in a hospital? Well, hospitals get a lot of both short inpatient and outpatient surgical referrals from local area physicians. Most IT solutions pretty complicated and deploying them in physician’s practices kind of tricky. So how would that work? Well, hospitals get a lot of their surgical referral business from local physicians. One thing hospitals sometimes do is they will deploy information technology to the physicians in hopes of engendering loyalty and therefore getting more referrals from the doctors. So one possibility is that the company could sell to hospitals, convince them that the PhreesiaPad is a wonderful simple piece of technology, that they could deploy to physicians for whom they want to get referrals. The third approach they’re considering is the insurance companies. Now, insurance companies can make more money if they keep their members healthy. So if in fact deploying sponsored content on the PhreesiaPad actually does keep members healthier, then that would be a reason why the insurance companies might want to get the PhreesiaPads deployed. Of course, the fourth one is to consider continuing to focus on the small physician practice and figure out how to build that business more. Now, in order to begin the discussion, what I’d like to ask you to do is talk with your teammates and decide what kind of company is Phreesia. Is it a consumer-facing company? Is it a technology company? Or is it an integrator? Now, if you find yourself thinking that the answer is too obvious and there’s no discussion to be had, I want you to dig a little deeper and talk a little more. We’ll come back and I’ll give you my take on what kind of company they are. Because I don’t think it’s quite as obvious as it first seems. I don’t think there’s anything in their current business that makes them an integrator. Although I have to confess, if we were to have another conversation and talk about the long term, I think we might see some potential there. Well, if it’s a technology company, you might ask, what’s their intellectual property? And there might be a couple of answers there. So they do build their own tablet, but I don’t think we’d call them a tablet vendor. They’ve spent a lot of time investing in their user interface, and they’ve really done quite a nice job. It’s been tried, but I think it’s a little dicey. So what we want to ask is, what is the unique capability that Phreesia brings to the table? And I think there are a couple of different aspects to it. So I think they’ve done a really good job in catering that interface to the patient. So I think they’ve actually done a really nice job in getting information to a consumer at exactly the right time. So I think it’s really unclear which bucket you put them in a priori. Instead, I think you have to keep both of those models, and as we talk about the six factors analysis, then we can think about which aspect we’re focusing on. Is it the consumer facing aspect, or is it the technological aspect? So I want you to keep both of those business models in your mind as you now meet with your group and start talking about the six factors analysis. Now, this might be a lengthy discussion, because you really have to consider each of the factors, and you have to consider the factor from the particular strategies that the company is contemplating. So for each factor, think about it from these different perspectives, come up with some conclusions, do the online survey, and then we’ll come back, and I’ll talk through my assessment of the six factors. So what might be the financial incentive to go after the urgent care centers? I could think of a couple. So getting all the information on the pad, letting patients pay on the pad, I think that’s a strong financial incentive for the urgent care centers. 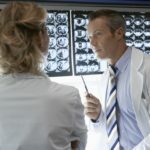 So I think the alignment financially with the urgent care centers is very good in the same way that it’s very good with the practices, which is the pitch to the urgent care centers is here’s the technology, it streamlines your business, it improves your payment, and maybe it even lets you handle customers more efficiently. So I think there’s a pretty straightforward and simple alignment in the financial dimension with the urgent care centers. The strategy that we’re thinking about with the hospitals is that this is going to increase their surgical referral business. So you’d think that the entrenched IT vendors might not necessarily be supportive of this. So I think that this financial argument that we want to make that we can engender loyalty actually gets complicated by some of the other factors, things like technology. So I think there’s a financially scalable approach to this stay the course strategy, which is continue selling into these small private practices. So if I were to summarize the financial analysis, I’d say that it looks very good for the current market, it looks good for the urgent care, and I think it’s neutral at best and maybe even misaligned with the insurers and the hospitals. So if we look at the urgent care centers, what kind of data do we have that would suggest that PhreesiaPad would be a good fit with them? Well, I think the first alignment we have is that if you look at the challenges that plague urgent care centers, if you look at that data in the exhibits, it’s very well matched to what the PhreesiaPad does. So I think they’ve done a decent job of showing some accountability that would be appealing to the insurers, but it’s not overwhelmingly strong because of the numbers per different insurance provider. Now, since we think that this might be a technology company, obviously we would expect some pretty good alignment on the technology front. I think it’s pretty clear that on a technology basis, this is a great alignment with the urgent care centers. Now when we turn the hospitals, I think this is a really tough sell. I think the entrenched vendors, if they hear wind of this, they’re going to say wait, wait, wait, we can do better. I think that the technology fit with hospitals in the space is really pretty weak and I think that would be a red flag. Now from the insurance provider point of view, I think the technology has some benefits. So I think there’s probably a little bit of streamlining that happens with the insurers, but I don’t think it’s huge. So I think there’s a weak alignment in the insurer’s space. Bringing it all together, strong alignment in the current business, strong alignment for the urgent care centers, maybe weak alignment for the insurers, and potentially a really negative and really opposing force in the hospital sector. What is the consumer alignment? I think the consumer is going to think this is great. I’m already going to somebody other than my doctor, so I’m walking into a potentially strange office, and now I have a sort of really tailored process to me to get through my check in, and again, I’m not my normal practice, I might be a little uncomfortable, and I’m actually getting some additional information given to me. I think there’s a lot of value that we can deliver to the consumer as they walk into an urgent care center. So we’ll look at it from the insurer’s point of view, I think we’re going to see the same thing. So let’s take the last two factors, policy and structure and consider them together because I think they’re sort of related here. I think even though the PhreesiaPad itself is not an electronic medical record, the integration that Phreesia does between the pad and the IT systems in these urgent care centers, as well as in the existing private practices, is one way to actually do meaningful use. So I think that the whole policy landscape really argues for the PhreesiaPad. The PhreesiaPad gets your insurance information. So I think there’s a strong alignment in the urgent care centers for this kind of technology. So both from the structural point of view and the policy point of view, I think there’s a pretty good alignment there. So I think there’s a potential little bit of policy or structure, depending on how you want to look at it, pressure against that strategy in the hospitals. I think that they don’t need to be quite as sensitive to the kickback because what you’re doing is you’re just communicating with your members. You already communicate with them via email and other messaging, so I really don’t think that there’s any structural or policy issues that are really going to get in the way of the insurance provider strategy. I don’t think there’s any particular attraction either. Finally, if we turn to the stay the course strategy, I think there actually continues to be very, very strong alignment. So if we step back and try to summarize the six forces, I think what we see is unsurprisingly there is very, very good alignment between their current strategy and all of the forces. I think there’s a lot of this alignment with the hospital strategy. The insurance companies, I think they’re in the middle. I don’t think there’s a lot of negative alignment necessarily, but I don’t see a lot of positive alignment either. So I think so far, the analysis is really suggesting that building their current business, or broadening into this urgent care center is really going to be the more attractive approach. What happens to their sales process going forward? What should they be thinking about? How should they proceed in this manner if in fact this is the right strategy for them? Then when we come back, we’ll start talking through that. It tells us their profitable, and that’s a really good place to start. The other two things it tells us, is that their overall margins are getting better, and their cost of sales is decreasing. So let’s just look at year four and compare that to the current year. So in year four they made $450.000, and seven and one half million dollars of gross revenue. So their earnings were about 6%. Now, their cost of sales was three and three quarter million dollars on that same seven and a half million dollars of revenue. If we compare that to the current year, you’ll see that they’ve made almost $4 million on gross sales of $13 million. In terms of their sales cost, they spent $5 million to get those $13 million or only $0.38 on the dollar. Maybe they’ve actually saturated the market, and there’s no one else to sell to. If we go to slightly bigger practices, between three and seven physicians, there’s another 60,000 of them. There’s another 98 and 1/2 percent of those practices that they could potentially sell to, and they’re getting better at doing that selling. So I want you to get together with your group and think about what else do you really need to understand about Phreesia’s revenue model in order to really feel good about that analysis we just did. They sell Phreesia Pads to the physicians, and they sell sponsored content. We don’t actually know what the revenue split is between those two sources, other than the fact that their primary revenue source comes from the sponsored content providers. We actually don’t even know exactly how the marketing or the selling of these sponsored content lots works. So a question you might ask, is how would a move into the urgent care centers change the sponsored content piece? We don’t know the breakdown, but it seems to me that it could only make things better. These aren’t necessarily repeat customers, so maybe there’s potential for sponsored content that you wouldn’t get from the private practices. There’s first mover, there’s fast follower, and then there’s a legal barrier. I don’t think there’s any legal barriers here. So whether you call them a first mover or a fast follower, the bottom line is, they’re actually potentially very prone to direct competition. Yes, they’ve invested a huge amount in their interface, and they’ve done a good job. Now, existing IT vendors who sell things like electronic medical records often don’t necessarily target these small practices, because they are so small, and the overhead of installing a large system is actually pretty unwieldy. So I think that Phreesia with its paths in these offices is potentially a very interesting partner for some of these EMR companies. I think the key is that Phreesia needs to do this land grab and get into as many practices at once. How much is the company worth? What kind of valuation might Phreesia have today, and what might that valuation look like in a year or two if they’re successful either A, growing their private practice market, or B, expanding into the urgent care market? “. So if we look at Phreesia’s current earnings, they’re at $3.9 million, which says that today, a conservative valuation would be close to $40 million. That’s a $40 million valuation on the current $25 million investment. Let’s assume that there’s no dramatic change in course and all Phreesia does is it grows its sales and it does so at its current cost. So two years from now, they could actually expect to triple their valuation, simply by continuing to execute well in their current market. Let’s look at what might happen if they go after urgent care market. Well, let’s focus on the portion of the urgent care market that is physician-owned. So in order to make a significant inroad in the urgent care center market, they would have to saturate. So even though the urgent care centers look really attractive as having the same characteristics as their current market, because the market is so much smaller, it’s not obvious at all that that was the right thing to do. So what do you think, is Phreesia a sustainable business? I think so. They can keep selling Phreesia Pads and, ideally, they could start charging sponsors an increasing amount of money as they reach more and more consumers. So I think Phreesia is extraordinarily well-positioned, both to leverage what they do, but I think in the longer term, they’re also very well-positioned to leverage their relationship with these small practices. These small practices are going to only become bigger and bigger consumers of IT. They’re going to want electronic medical records. The Phreesia team has already worked with their technology and done the integration. While they do that, at the same time they’re actually improving the efficiency of these small practices. They’re making your visit to a doctor much easier, much more efficient. This sounds like one of those companies that is truly a win across the board. On that note, it’s really my pleasure to let you sit back and listen to the CEO of Phreesia give you his perspective. We’ve had phenomenal success in the urgent care market. As hospital organizations have consolidated, they’ve not only consolidated amongst hospitals, they’ve also acquired hundreds if not thousands of physician groups. As that’s happened, they’ve also wanted to operationalize and drive efficiencies into these physician groups. So we’ve just seen tremendous growth in both of those markets. We’ve now rolled out to the largest EMT analogy group in the country, fully, the largest urology groups in the country- That’s great. Some of these groups have grown to 100, 150, 180 specialists where they’re consolidating both marketing, clinical prowess in a market, but also negotiating power. As they’ve consolidated and become better business, they’ve also wanted to drive operational efficiency.